When I first heard about the Ultimate Body Applicator and how it is a natural toxin release product I knew I had found something special. The first time I tried it I felt more energy and lighter and my body was 8 an 1/4 inches smaller after 45 minutes and I was sure it was something special. The Ultimate Body Applicator is one of my favorite things for detoxifying my body, improving my energy and I love that has helped me lose 30 inches from my body. When people hear that it can slim the body in 45 minutes, while it detoxifies, they roll their eyes. I have seen a lot of eye rolling since I started selling it 3 and half years ago. Those are uninformed eyes rolling because there is nothing like it on the market so if they haven’t tried this product they can’t compare it to something else. 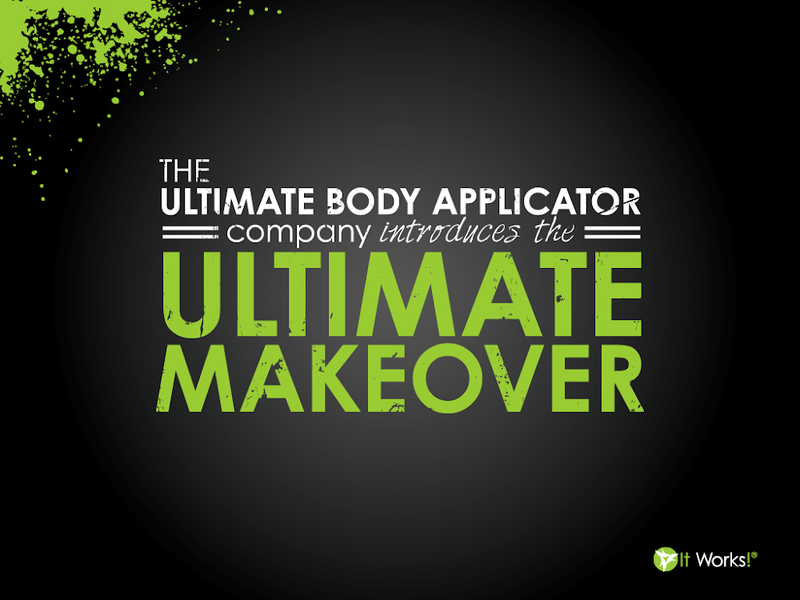 The Ultimate Body Applicator sounds like a vanity product, because it slims down the body but in reality it heals the body, helps reduce stretch marks and cellulite and makes you feel better. Liposuction and Botox, those are vanity products. This is a product that improves your health and to me that is much more important than losing inches. Over the past three years I have seen how it has made a difference in people’s health and how they feel about themselves. That’s not a vanity product, it’s a HOPE product! Here is how it works. The Applicator is actually a non-woven fabric patch that is 11×22 inches. On one side is a botanical solution that was developed to take toxins out of the fat cells, so they can flush out naturally. I love how easy it is to use. You open the sealed plastic package, put it on your body where you would like, wrap some Saran wrap around it, and you can do what you want for 45 minutes. When you are done, remove it and throw it away and it keeps working for 72 hours, even though you have removed it. Simple! Removing toxins brings out your radiance, restores your energy and just helps you feel better. And those extra inches, not that they weren’t beautiful the way they were, but they aren’t natural. A toxin free body is a healthy body and healthy is beautiful. Strive for natural beauty, restore your health and improve your energy!